The Iranian architect Zaha Hadid is an infamous figure, talked about both for her innovative, uncompromising work, and the fact that she is the only famous woman architect in an art still dominated by men. Her buildings are symbols of both talent and technological developments, causing both positive and negative comments. Which makes one realise that she has never gone for a typical project. 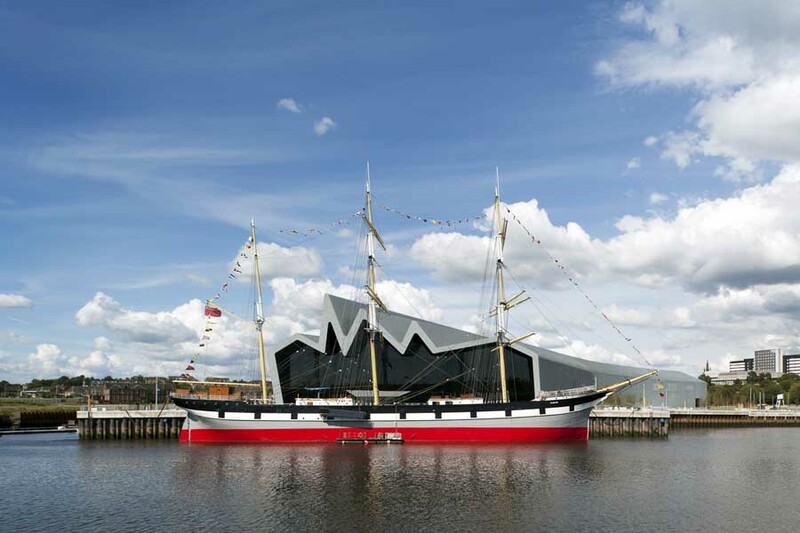 The Riverside Museum in Glasgow would not be an exception. 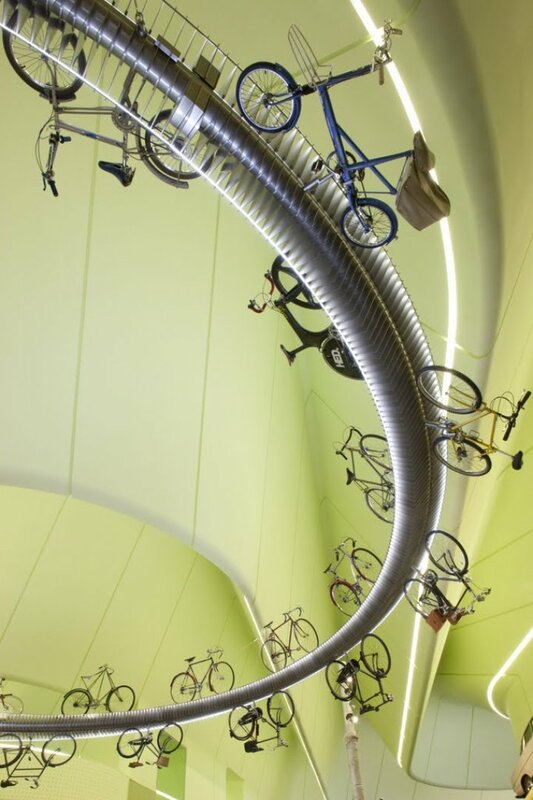 Built to replace the old Museum of Transport on the banks of the city's river, Clive, it attracts the passers-by with the lines, the zigzag roof and its incredible curves. The metal construction lined with sheets of zinc, was designed to resemble sheds that house trains, buses, planes - namely those which it will host inside. The wavy curves allow the frame to support the whole structure without many internal columns, leaving plenty of space for exhibits. Open from two sides, towards the river and the city, it manages to attract the public and emphasises the relationship of the building with the city and the environment. It unites the river with the city, forming a link that, depending on the configuration of internal partitions, may be more open or closed. The zigzag of the plan forces the showroom to be clearer towards the visitor. The unusual lime green colour of the interior walls helps achieve this, selected by Hadid in collaboration with the company Event Communication Ltd. who developed and studied the museum's permanent exhibition. Beyond its 7500 sq.m. exhibition space, the museum also has a real sailing ship moored at a special pier in front of it: the Tall Ship Glenlee. 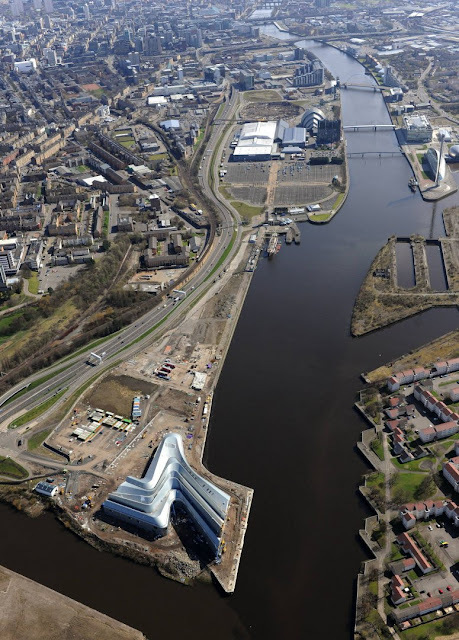 The cafe of the museum has excellent views over the River Clyde and the Kelvin, which joins the Clyde just below the site. 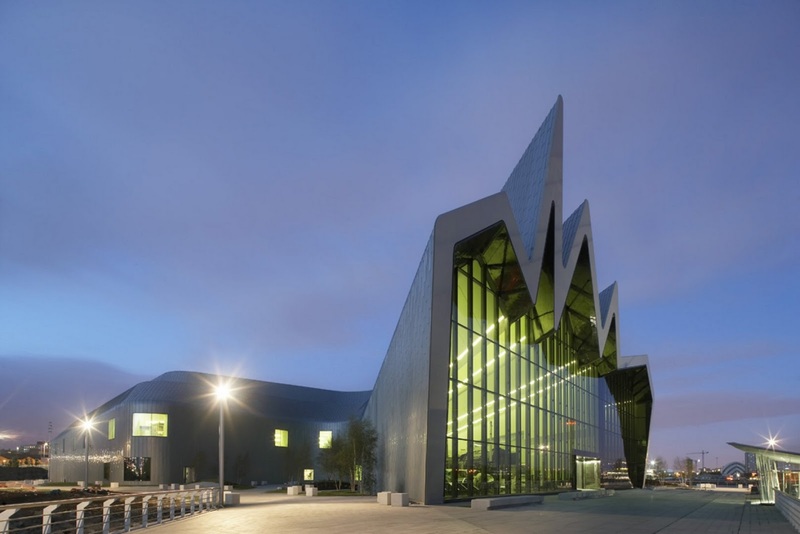 Thus Glasgow acquires a museum that is expected to attract numerous visitors from around the world for its architectural value - the wonderful exhibits (trains, planes, cars etc.) are the icing on the proverbial cake. Article originally written in Greek for The 6 Million Dollar Story magazine.